GO PRO! Become a PADI Open Water Scuba Instructor in Sicily, Italy! For the second time, Platinum Course Director Mark Soworka from dive-careers.com is organising an IDC in Sicily, Italy in cooperation with Sea Spirit Diving Resort. We are proud to have Mark back in Sicily for another unique IDC with an international team of PADI Professionals. Let me refresh your memory: yes, Sicily is that enormous sunny island in the south of Italy located in the Mediterranean Sea, with a wealth of history of hundreds of different folks who lived there in the past, fascinating nature, yes, with orange trees, lemon trees, olive trees and Volcano Etna, beautiful old cities like Taormina, Siracusa, Palermo, and of course YES! the delicious Sicilian kitchen with its pastas, spaghettis, frutti di mare, sweets and of course the Sicilian wines, yes! That’s SICILY! Why should you choose to do your PADI Instructor Development Course in Sicily? Because it leads you to numerous advantages during the IDC, loads of career opportunities onwards and an unforgettable experience on one of the most beautiful islands in the Mediterranean Sea! The IDC will be conducted by PADI Platinum Course Director Mark Soworka from dive-careers.com. Mark Soworka is one of the most experienced and successful Course Directors worldwide. He has maintained the highest of success rates on PADI Instructor Exams since 1997 and has helped thousands of instructors and divemasters find rewarding careers in the dive industry. He conducts IDCs in varying countries such as Thailand, the Philippines, Sri Lanka, India, Indonesia and South-Africa. This October he is coming again to Europe and you will have the unique opportunity to do your IDC with Mark Soworka in Sicily! Carmelo Sgroi (PADI Master Instructor) and Cilla Lentz (PADI IDC Staff Instructor) from Sea Spirit Diving Resort will form a team together with Mark so they can provide the IDC in four languages: English, Italian, German and Dutch. Also they will bring their experience of the local area into the IDC so you will get the best possible information and experience from different diving perspectives, for example, when it comes to teaching diving in different environments around the world. Our PADI Instructor Development Course offer a comprehensive and fully inclusive package that ensures you become a highly qualified PADI Open Water Scuba Instructor, with loads of value added extra’s and real dive job opportunity. This IDC will be organised in cooperation with Sea Spirit Diving Resort, a PADI 5 Star IDC Dive Resort that is located in Giardini-Naxos/Taormina in Sicily, Italy. Sea Spirit Diving Resort is leader in dive education on an international level for Sicily and is the first and most dynamic PADI 5 Star IDC Resort in the Taormina area, with worldwide job opportunities. At Sea Spirit we guarantee a high service-level by providing a big conference room in the Atahotel Naxos Beach, where the IDC will be taught and academic presentations will take place, an Olympic swimming pool for the confined water sessions, a dedicated 8-meter Zodiac during the whole IDC with all comforts during the open water sessions. 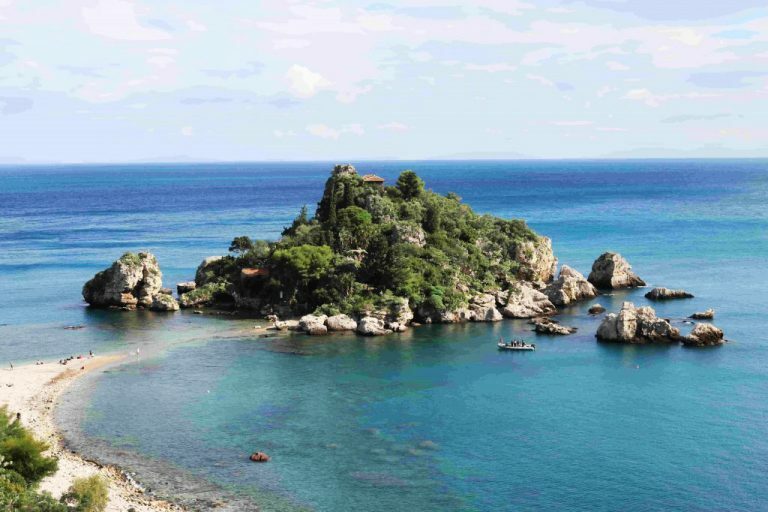 As a bonus, the open water sessions will be held at the famous Isola Bella Marine Park in Taormina where together we can be fascinated by the under-water-world of the Mediterranean Sea! This IDC is unique in its kind in Sicily because we will offer a 14-day program which will include a preparation part in which we will test how up-to-date your knowledge about the different diving theory parts is, and we also will complete a Skill Circuit so we have an idea how your demonstration skills are. Next is the official IDC where we will teach you everything you need to know to become the best diving instructor! The three main parts are: confined water presentation, open water presentation and academic presentations. Furthermore, lectures about PADI General Standards and Procedures, using the Instructor Manual, lectures about the different PADI diving courses, about how to instruct and the Emergency First Responder Instructor course, will make you that all-round professional dive instructor! After this course, you will be ready for the PADI Instructor Exam! After the IDC and IE, when you are a PADI Open Water Scuba Instructor, we have a lot of possibilities to get your dive career started! Dive-Careers.com allows you access to that network of successful dive centers with real employment opportunity for example to continue your way up and teach specialties by doing the MSDT in Koh Tao or a becoming a dive instructor in Sri Lanka! What makes this IDC in Sicily even more unique is the different programs that are included in this IDC. On the 12th of October PADI representative Jonas Samuelson and Fabio Figurella will conduct a Go-Pro Evening for all PADI professionals and anyone interested in becoming a dive professional. SCUBAPRO will be running equipment workshops and world renowned Akim Adhari will be conducting free diver training. Join us on the Sea Spirit IDC starting on the 7th of October 2016!